Manage your own ice cream stand. Is there a better alternative to Ice-Cream Shop of Pixy? Is Ice-Cream Shop of Pixy really the best app in Simulation category? Will Ice-Cream Shop of Pixy work good on macOS 10.13.4? Ice-Cream Shop of Pixy ...Manage your own ice-cream stand to become an ice-cream tyccon! Easy to play rushing game that can catch you tightly! Different & novel customer modelling can attract your eyeballs! 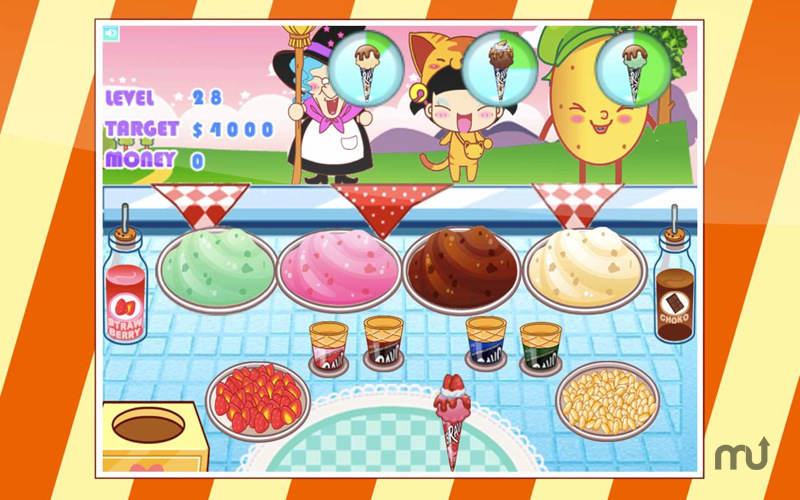 Funny game to relax yourself in sweet ice-cream in this summer! Rushing for requests of different kinds of ice-cream from your customers to gain enough money to pass a level. Your only goal is to own money over the target. Customers come and request his/her ice-cream in a time limitation, you should make up the ice-cream as soon as possible, and deliver to the customer. Ice-Cream Shop of Pixy needs a review. Be the first to review this app and get the discussion started! Ice-Cream Shop of Pixy needs a rating. Be the first to rate this app and get the discussion started! Your ice-cream stand start from very small scale that have only four ice-cream to a large shop that can offer 64 kinds of complex products. There are 35 levels for you to challenge yourself of total different requests of customers and target scores. You will dive deep into this simple but funny game. Just take it as a time killing mate that you can call her at anytime and kick away at anytime. The progress and settings are auto saved for you!You can start this game anytime anywhere from the level you stopped for any level you've played before. and you can quite at anytime you want.